After finding a mysterious puck-shaped object in the woods, a young bird-watcher must play the hero—and at times fail—in this adventure. 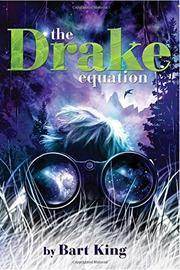 At first, white seventh-grader Noah Grow forgets about the disc when he discovers that a rare black swift has made its home in the nearby nature preserve, representing his “biggest bird-watching score ever!” The disc, however, derails his enthusiasm for the bird. With help from his two best friends, Noah learns that the object grants him strange powers. When some young children find themselves in trouble, Noah uses his newfound abilities to save them. Still, the peculiar disc both thrills and troubles him. “That puck wasn’t mine, it was scary and mysterious, and I didn’t want it.” Soon enough, his shenanigans with the puck draw attention from a local bully and other, unforeseen enemies. Much of the humor stems from Noah’s struggles to overcome his cowardice; other funny bits molded from poop jokes fall a bit flat. Mock “field notes” and reports on his friends and family repeatedly appear, offering contextual information from Noah’s perspective in a clever, albeit gratuitous way. As Noah grapples with his timidity and discovers that the puck’s origins may not be earthly, the story fizzles out in a cliffhanger ending.